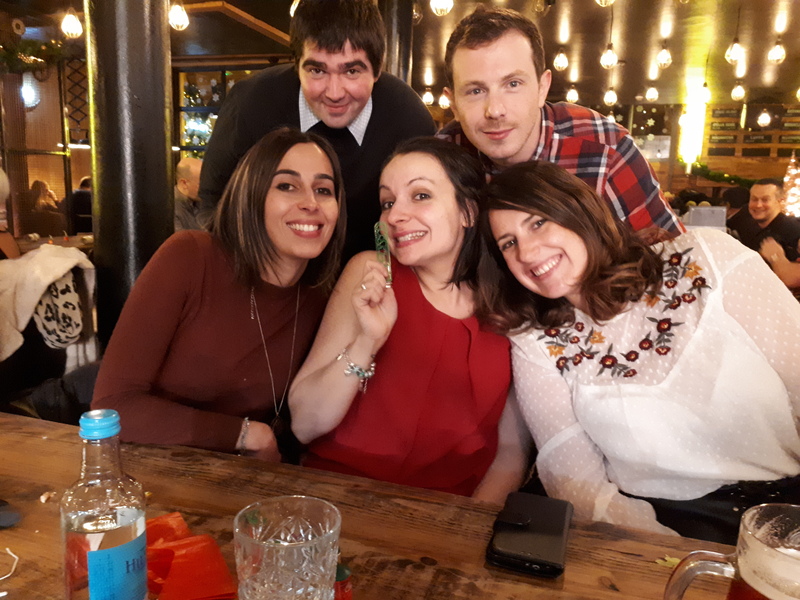 With Christmas Day just a few days away, we’re on an official countdown to the festivities and Christmas spirits were particularly high on Friday as we celebrated with our annual Christmas party! After bidding an emotional goodbye to long-serving team member Natalia who is leaving to take up a new career challenge, we moved on the highly-anticipated Secret Santa exchange! Stand-out gifts included a giant box of chocolate biscuits, lots of products to make us smell more fragrant and a survival guide to enduring the after effects of Christmas booze. After a few ‘did you know who my Secret Santa was?’ conversations, we moved onto the main event – the meal! Following a lot of laughing (and turkey), we finished up the evening with our annual ParkCloud Team Awards – details of which must remain confidential as we can’t disclose the secrets of our success! 😊 However, we can share a lovely picture of our team! Season’s Greetings!